The goal of RQS Renovation is to have each of our exterior renovation clients pause for a moment every time they come home and think, “I can’t believe this is my home.” For years, our team has been creating dream homes using the fuel of imagination and the highest quality wood, vinyl and paint products. All exterior renovation services come with RQS Renovation’s four-year guarantee. Whether it’s the latest vinyl siding products or a varnish for your log cabin, RQS Renovation seeks to create home exteriors that are radiant, elegant and highly presentable. Our services aren’t just about adding curb appeal to your home. That’s a given. Many years of experience go into each house siding project to ensure it lasts. Some of our most popular house siding services are for vinyl siding, painting projects and weather treatments for log cabins. Are your quarters a little too cramped, but you don’t want to move? Talk with our contractors about adding on an extension to your home. To assist in additions, we bring out certified electricians and plumbers. What is a family gathering without a place to gather? Decks and gazebos can add so much to family get-togethers and community barbecues. When you work with RQS Renovation, you can expect exceptional quality and reliable results, all of which are backed by a four-year guarantee. RQS Renovation proves that detached garages and sheds don’t have to be an eyesore. Our skilled team can work with you on finding a design that perfectly complements your property and functional needs. If you love your home, protect it with a quality, leak-proof roof. 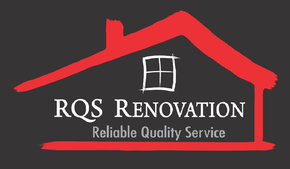 RQS Renovation installs new roofs and steel roofs throughout the St. John’s area. Many contractors overlay shingles atop older shingles, adding unnecessary weight and strain on braces, joists and rafters. For each roof, our team starts fresh and goes down to the base to ensure long-lasting results.